Reflecting the Bavarian lifestyle by showcasing its coat of arms, this line, inspired by Ernst Andreas Rauch, expresses Nymphenburg’s roots. Say cheers over a pot of hot sausage with this celebratory collection. 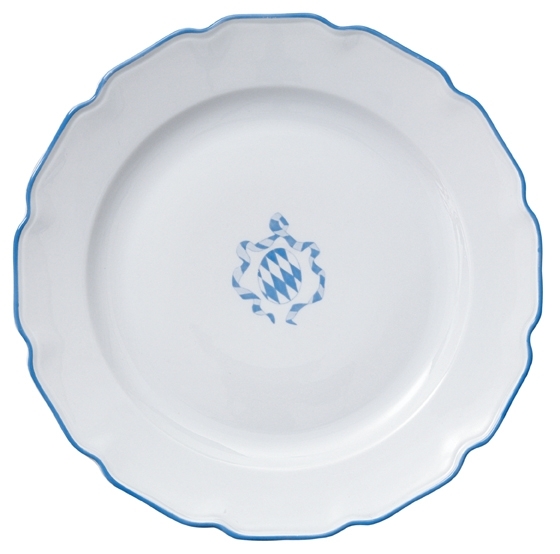 This line is available in any other shapes within the Bavaria pattern. Please see the Product Information PDF below or contact us for availability. 4.3 l x 1.6 w x 1.6 h in. 6.7 in. / 17 cm. 9.5 in. / 24 cm.